Late summer and early fall is often a time to think of last-minute summer getaways, fall festivities and preparation for the coming winter. It is also a time to think about hurricanes. 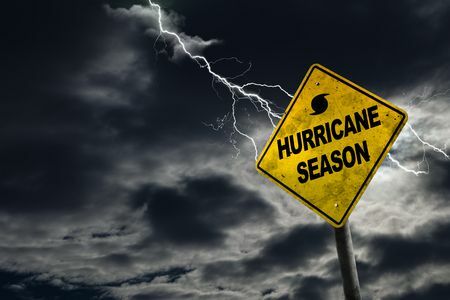 The full hurricane season lasts from June 1 through Nov. 30, but the peak of the season is usually from about mid-August through October, says the National Oceanic and Atmospheric Administration. The administration’s researchers are now predicting a strong hurricane season, according to the Asbury Park Press. Is your roof ready? Hurricanes cause an estimated $28 billion in damage each year, and the amount of damage from these storms is expected to increase in the coming years, according to the U.S. Congressional Budget Office. Most of this damage is caused by flooding and high winds that damage windows, siding and roofs. While there is no way of knowing in advance how many hurricanes will actually make landfall or if the path the storms take will lead them to our region, there are steps that property owners can take to reduce their risk when a storm does hit. Roofs are often damaged or destroyed during hurricanes and other severe storms. Once a roof is damaged, it may allow water into the building as well, causing considerable damage to the building and contents before an emergency repair can be made. The best way to protect your home or business from damage during a hurricane is to have a professional inspection performed in advance. Some roof problems are obvious and easy to spot, but other signs require a thorough inspection by a trained and experienced professional. Identifying weak spots or trouble areas before a storm can cause damage can save money and a lot of trouble. The professionals at Roofing by Bruce are experienced in inspecting, repairing and installing roofs that will stand up to harsh weather. Call us today at 570-424-7250 to learn more about our roofing services or to schedule a roof inspection.